Are real Christmas trees “greener”? For all those debating which type of Christmas tree is better — natural or artificial — we have compiled your responses and researched the topic, finding that a real tree is “greener” than its alternative with the information from a tree service company. However, we also concluded that it is better for the environment, not to mention your wallet, to skip getting a Christmas tree altogether. 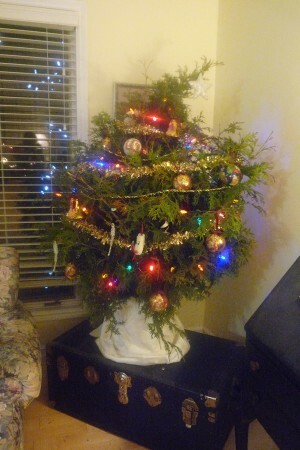 Instead, many families decorate a house plant or make Christmas displays out of wind-fallen branches. 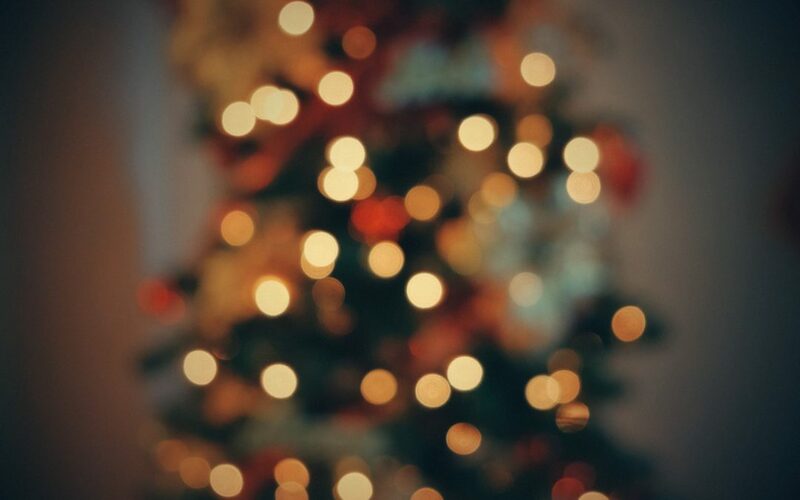 The David Suzuki Foundation conducted an analysis of the environmental impacts of an artificial Christmas tree versus a natural one. Their conclusion was that, considering their whole life cycle, the natural tree is a better choice. Statistics from 2010 also show North Americans agree considering that 27 million real trees were sold last December while 8.2 million artificial ones were bought. Keep reading for more about this topic and then explore our sustainable gift-giving blog post for more holiday ideas. “Re-use” is one of the 3Rs, and it is true that an artificial tree can be used for several years. However, artificial trees are made from non-renewable resources, may contain toxic chemicals and can’t be recycled. On the other side, the Manitoba Christmas Tree Growers Association (MCTGA) claims positive environmental benefits to real Christmas trees. Natural trees provide habitat for wildlife and, during their growth, they sequester carbon, which helps mitigate climate change. After the holiday season, natural trees can be chipped for mulch and of course they consist of organic material that ultimately breaks down through composting and natural processes. The Association also notes that their Christmas trees are grown on land that is not suitable for other crops. Manitoba Christmas trees also support the local economy and do not require long distance transportation. We have not been able to find organically certified Christmas tree farms in Manitoba, and it seems that some producers do use pesticides for weed control. According to the MCTGA, some use less than others, so it is worth asking your farmer about their practices. Another factor involves what species of tree to use. Native species like white or black spruce or balsam firs are more adapted to Manitoba’s environment and require less pesticides and maintenance. Scotch pines, one of the most popular trees, are not native to Manitoba and producers may add a colorant to keep them green through our harsh autumns. Possibly the most environmentally friendly way for you to have a Christmas tree is to cut down your own! The Province of Manitoba Forestry Branch manages our forests and have designated areas that are cut as a way to minimize forest fires. For $5, your family can spend some time in nature looking for the perfect tree! No pesticides were used to grow it and it is benefiting the forest in the long run. Check out their Christmas Tree cutting permit page for more info (you need a permit!). What about re-using a natural tree? Because of our climate, it is not possible to keep a live tree and transplant it outside after the holidays. Trees require a dormant period and the shift from indoor to outdoor temperatures will kill your tree. After the holidays, where possible, its best to take the tree to be recycled. Each year, the City of Winnipeg operates Let’s Chip In depots. Interestingly, there are also places that rent Christmas trees. This one in England, has a very successful tree rental program, and people have been able to rent the same tree each year. Some have even named the tree, after growing attached to it celebrating each Christmas with it. Here’s another idea — why not make your own Christmas tree? If you have a cedar or spruce tree that needs trimming, gather the branches and arrange them in a pail of water. Tie them together in the centre and decorate with LED lights and holiday ornaments. This way, you save a tree from being cut down, you don’t buy a plastic one and your growing tree gets a nice pruning, all while you get a unique tree! Read our blog here for the step-by-step instructions. WHAT WILL YOU DO THIS HOLIDAY SEASON? Comments from previous years are included below. We’d like to hear what you think. Thank you for feedback and enjoy your holiday season this year! Just be careful with real trees and electricity – they can be a serious fire hazard if dry. Why not just forget about X-mas all together…. No unnecessary gifts. No over eating. No tree. No lights. AND a lot more Peace and good will to share with others! Another alternative is a Norfolk Pine tree avail at most big box stores or larger greenhouses. these can also be deco,d and enjoy all year along wth cleaning indoor air. we also practice free finding branches from wind/ice storms and deco our yard and small town w/same finds!! we also offer a drop-off point for locals. Happy Christmas! My sister-in-law just got one of these, from the grocery store no less! It’s a lovely little tree, and we wrapped some wire-based twinkle lights around it. A great solution for people in apartments who aren’t supposed to have traditional Christmas trees but want something alive. While I agree – decorating a living tree outside – or bringing a few branches inside is the better way to go – I read in another research report – that the break even point in terms of weighing the environmental cost of an artificial tree is 18 years. So if you use the same artificial tree for 18 years (which my family did) then that becomes a viable option. I think there are a whole lot of factors to consider, and I’m betting that for most people it comes down to personal preference. This discussion is valuable, in that it reminds people to take care in making better choices when looking for a live tree, and maybe making that artificial tree last a few more years before turning it into wreaths and other decorations rather that a straight trip to the landfill! Several problems with your conclusions. 1) Most of the real trees purchased in Winnipeg are not from Manitoba. 2) Many of the real trees are not recycled, many are burnt or thrown in the landfills. 3) No one is accounting for the time, fuel and manpower used to chip up these trees. 4) Real trees do provide a nice habitat for wildlife, right up to the time they are cut down. 5) If the land is not suitable for crops why not just let it be a forest? 6) No one is accounting for all those plastic bags many people use to wrap their tree with when they take them down. It is already difficult enough to get people to take the environment seriously. Why damage your credibility by not being honest and truthful? We will again this year make a family trip to one of the local Manitoba tree farms that grow trees specifically to be harvested for Christmas. Trees are much more reasonably priced than those shipped in from BC and you support a local business here is Manitoba. We stopped putting up a Christmas tree inside our home about 15 years ago. Instead, we decorate a spruce tree growing in our backyard with lots of LED lights. We AND our neighbours are very happy with the results! We got our artificial tree freecycled to us by a person who didn’t need it anymore and did not want to send it to the landfill. Although we love the smell of a “real” tree, we had concerns about chemicals, sustainablity of “tree farms” and just the wisdom of chopping down a tree instead of letting it remove greenhouse gases from the environment….We’ve had our artificial tree for three years now, and intend to keep using for many more to come. Evergreen trees are a renewable resource. All the concomitants of the manufacturing process, packaging process and shipping process required to produce an artificial tree make it a less green choice. Some real trees are shipped over long distances and have wrapping as well (often plastic netting). An artificial tree bought and used over 20 years would be far more responsible than 20 trees cut down and shipped. This doesn’t include the work/materials going into raising the trees as well. I don’t put up trees anymore but if the discussion is about which is ‘greener’, it could depend on how many years a person kept their artificial tree. Real Christmas trees are the way to go! Not only can they be recycled afterwards, they also give you cleaner air in your house and make it smell fresh. Plastic artificial trees are not environmentally friendly because they are and pollute in their production and will eventually end up in the dirty landfills, not looking very green anymore. Real Trees are better because they can be totally recycled and made into mulch to line walkways. 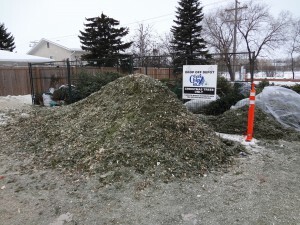 Winnipeg has a Leaf it to Us program to recycle the trees. Just to note as an update to this comment, the Leaf it to Us program is no longer in existence, but you should bring your old Christmas tree to recycling depots for chipping once it has outlived its life. The new program is called “Let’s Chip In” and you can get up to date information at this link: https://winnipeg.ca/waterandwaste/recycle/chip.stm. Every 4R depot takes Christmas trees, and there are many more around the city for your convenience!